From Minworth, Birmingham, our UKDN Waterflow (LG) team responds to commercial and domestic drain emergencies right across the Midlands. We are on the road 24/7. With GPS tracking we can find your nearest available unblock engineer in a jiffy. All you need to do is call us on 0121 285 9412. Whether you have a blocked drain, sink or toilet, we are on hand 24/7, 365 days a year to come to your aid, in Wolverhampton, Telford, Coventry or Sutton Coldfield. And everywhere in between. Of course, we are not just here for emergencies. 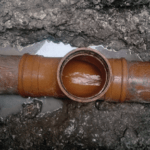 At UKDN Waterflow (LG), we offer a complete range of drainage services to all types of clients in the area. From homeowners to factory owners, offices and retail property, car parks and industrial parks and loads more besides. One of our largest clients is a housing trust, which relies on UKDN Waterflow (LG) to manage drainage issues on 20,000 homes. For absolute confidence, talk to us about a Planned Maintenance Programme. That way, your drains will be checked and cleaned at regular intervals to keep them in top condition. Fill in the contact form for more details. Call UKDN Waterflow (LG) Birmingham on 0121 285 9412 for a quick response to your drainage emergency. Or ask for more information about any of our drainage services.